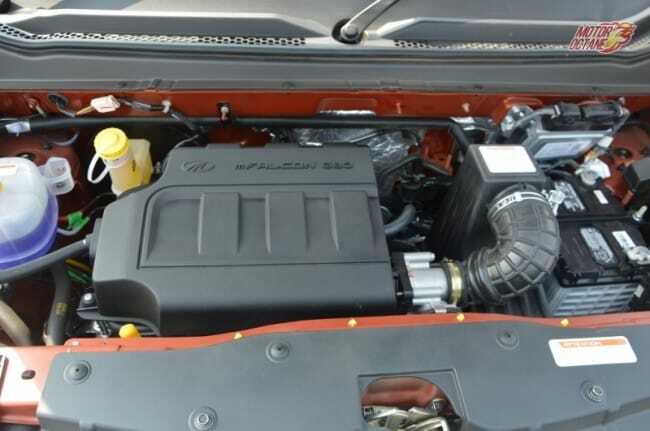 The top end S10 variant 2WD is feature loaded. 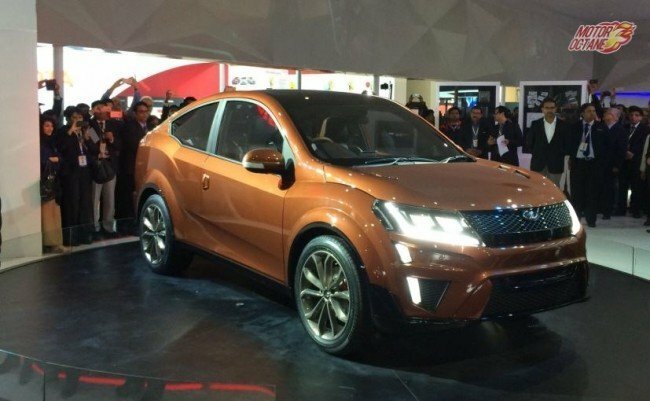 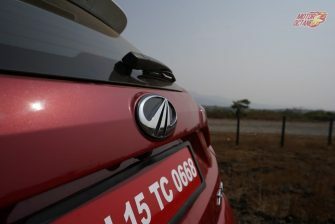 This variant is priced INR 16.95 lakhs (on-road, New Delhi). 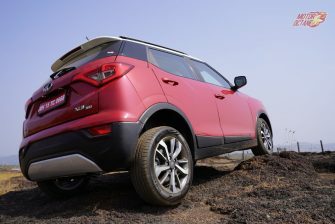 The 2WD version is a good city commuter that can manage highway runs too. 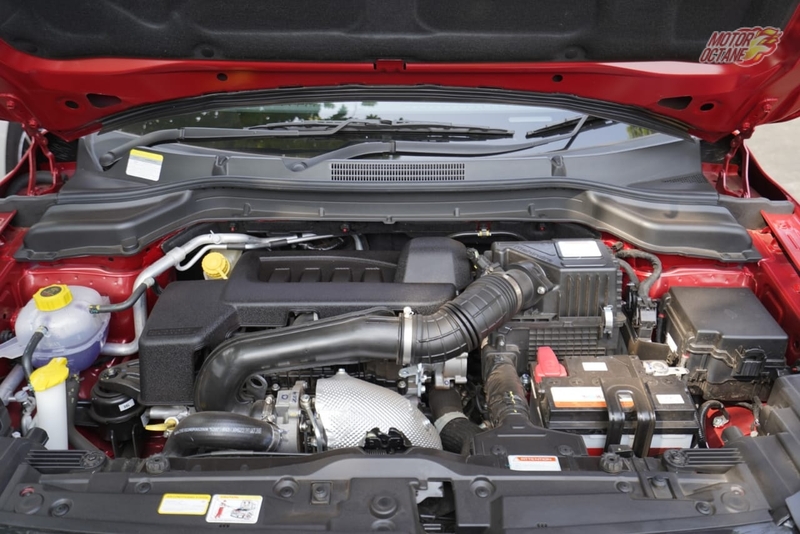 It has a robust build and the ability to last for years. 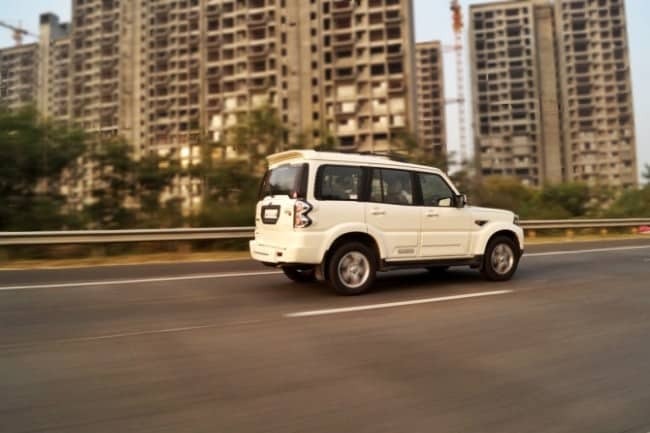 The 4WD version of the Scorpio automatic is much costs a whopping INR 18.41 lakhs (on-road, Mumbai). The Scorpio is the most affordable six-speed diesel automatic SUV in the market. 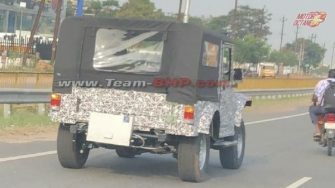 Our recommendation will be the 2WD version, without doubt. 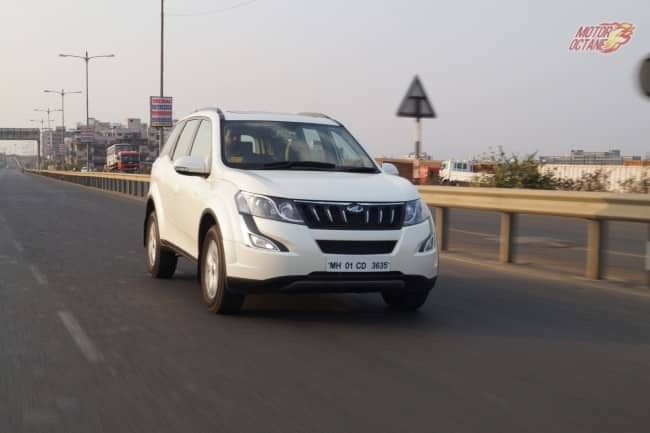 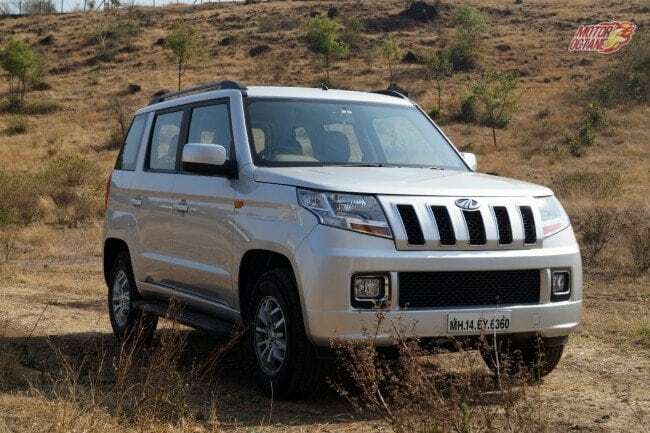 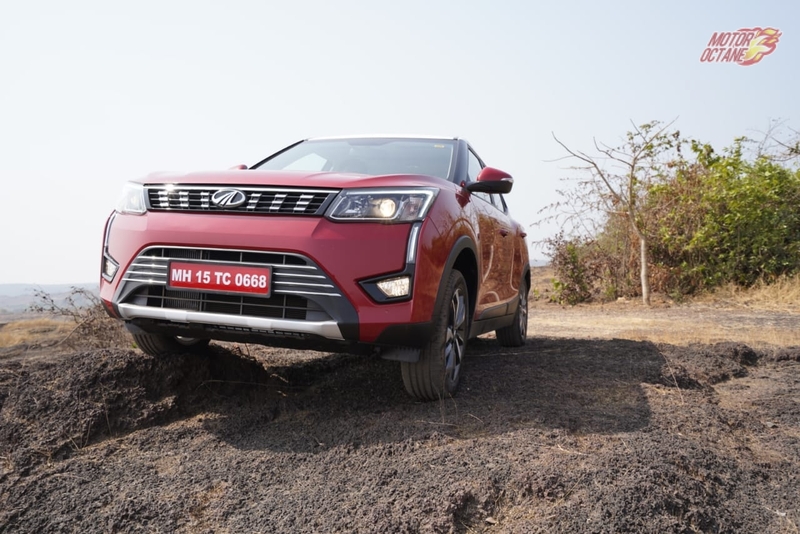 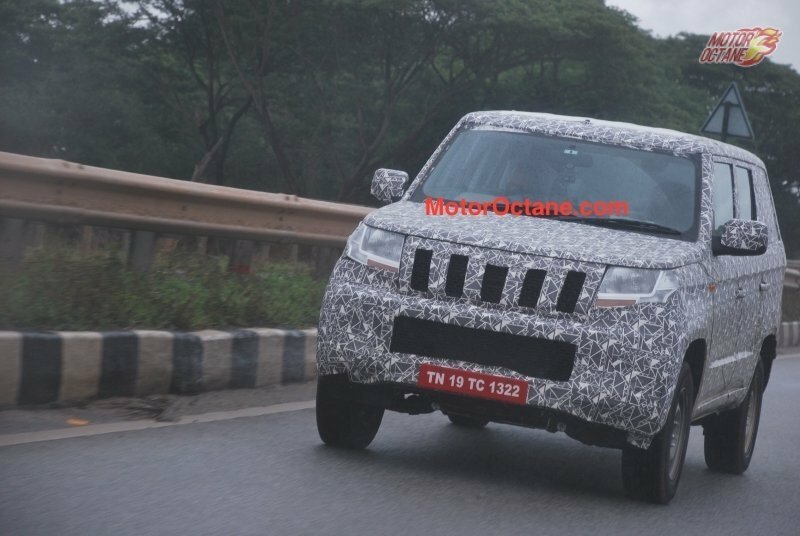 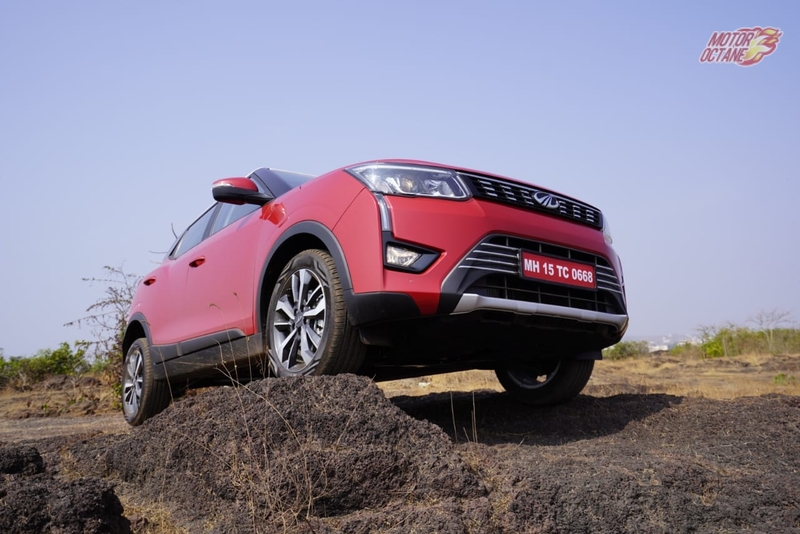 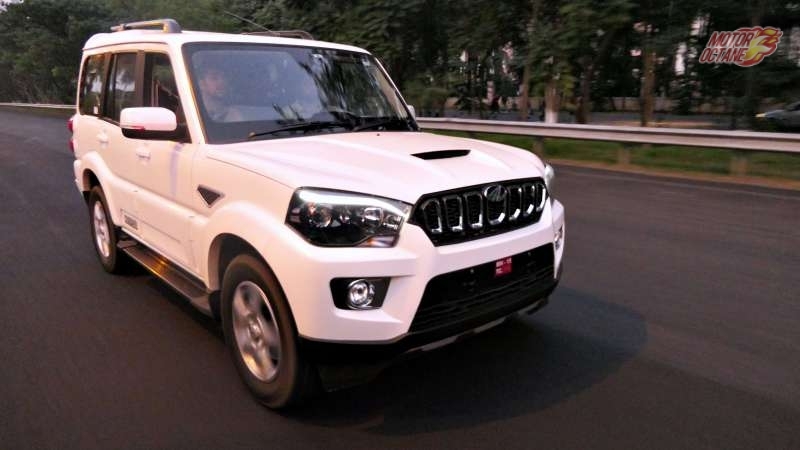 The all-new Scorpio Automatic sports the same six-speed gearbox as the previous generation Scorpio, albeit minor changes, which Mahindra says has been fine-tuned to offer smoother shifts and a refined driving experience. 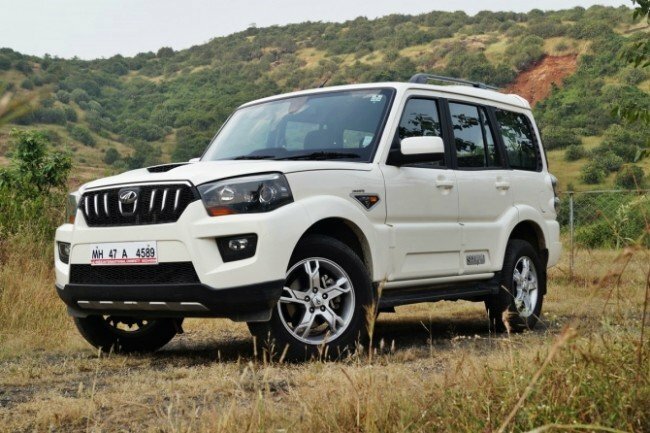 The new Scorpio Automatic shares everything apart from the gearbox with its manual sibling. Thats includes the same 2.2-litre mHawk that does duty on the manual version and delivers 118bhp of power and 280Nm of torque. 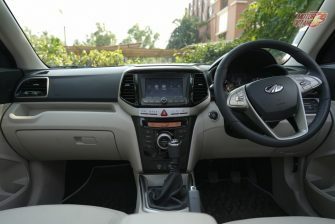 The automatic transmission has two drive modes – the regular and a sporty one which is labelled ‘M’. 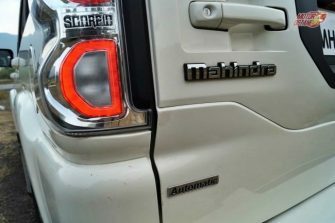 The M mode is supposedly a sporty mode and delays upshifts to offer faster acceleration. But in real, it doesn’t make much of a difference. 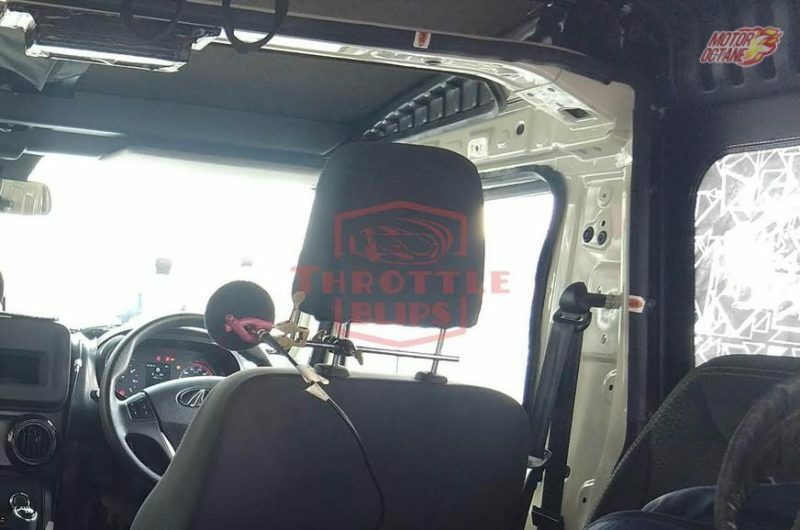 The upshifts are delayed almost up to the redline. 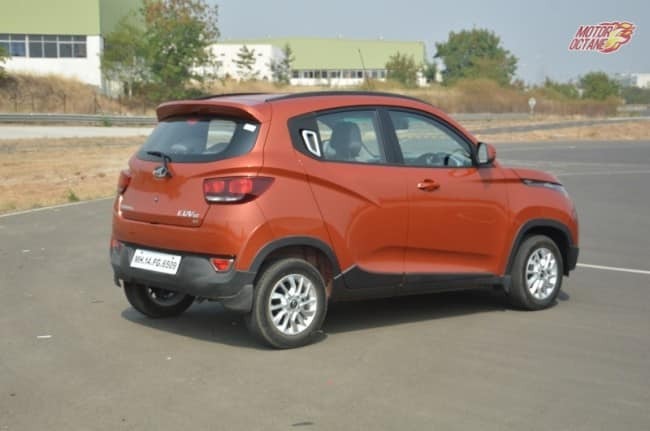 However doesn’t too much in terms of performance. 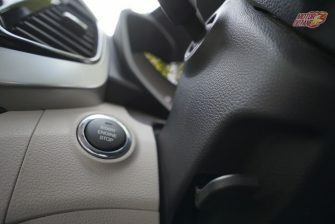 Another option provided in the gearbox is a ‘Winter’ mode switch, placed next to the gear lever. This has a toggle switch marked W and N, where W stands for Winter and N stands for Normal. 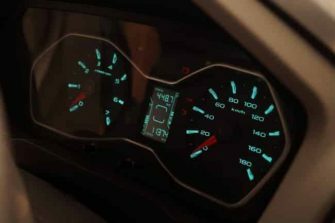 The Winter mode can be switched on in snow or wet conditions where generally the road surface is slippery and can cause a wheelspin. 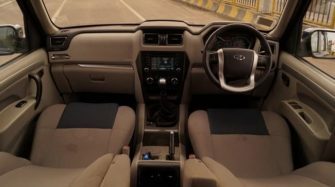 The winter mode enables the gearbox to simply skip selecting the first gear and directly engage the second gear to avoid a wheel-spin while getting into motion. 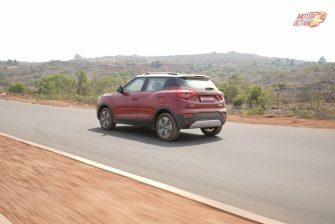 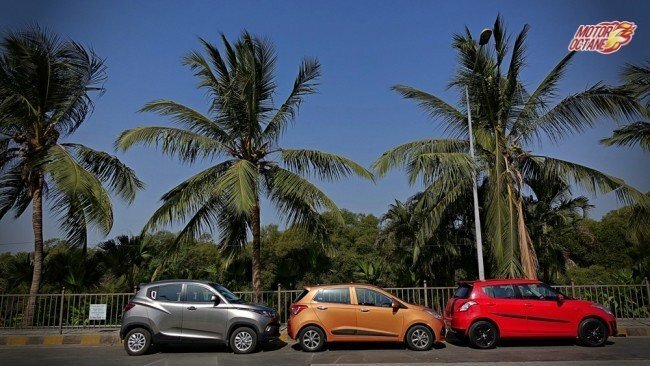 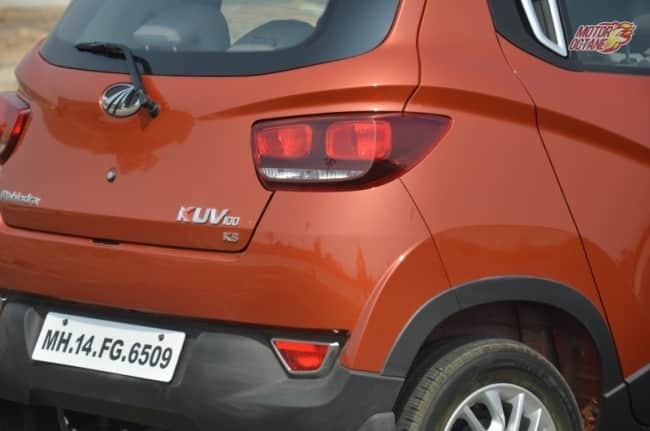 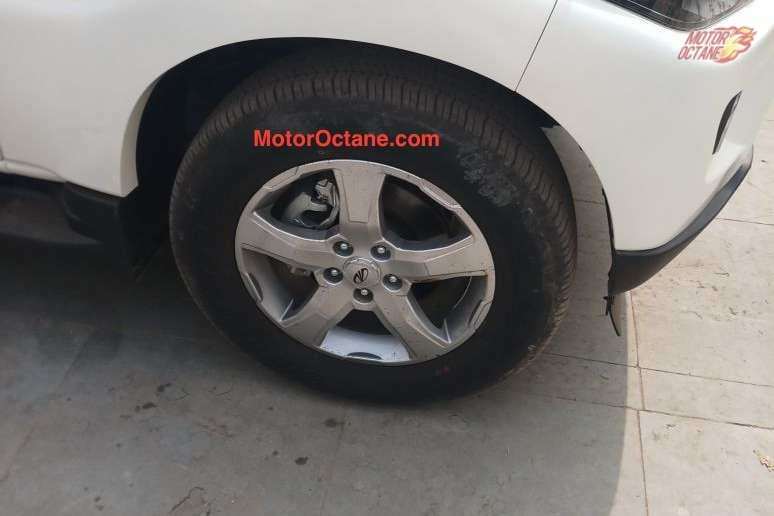 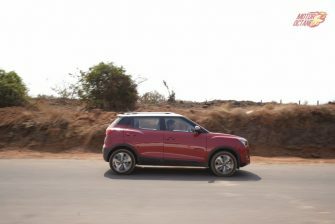 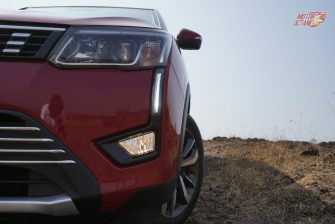 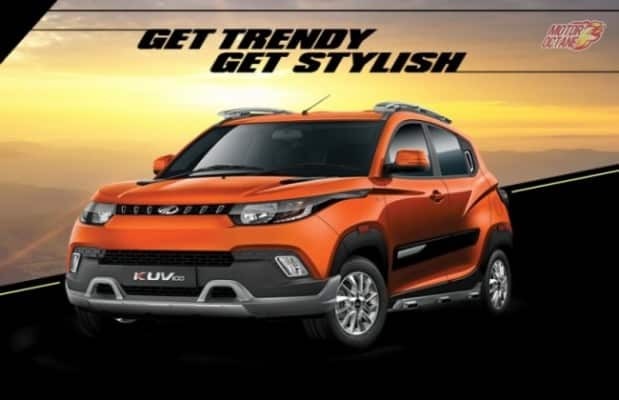 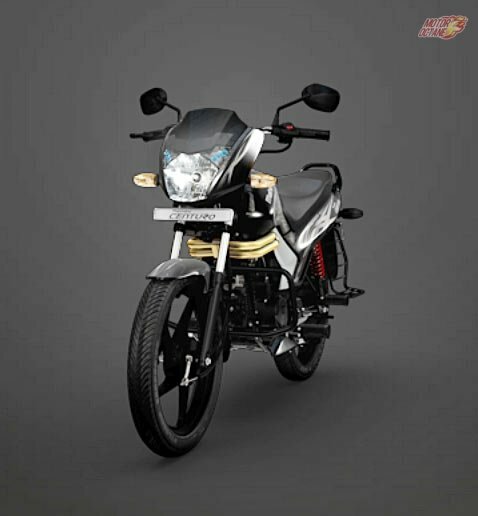 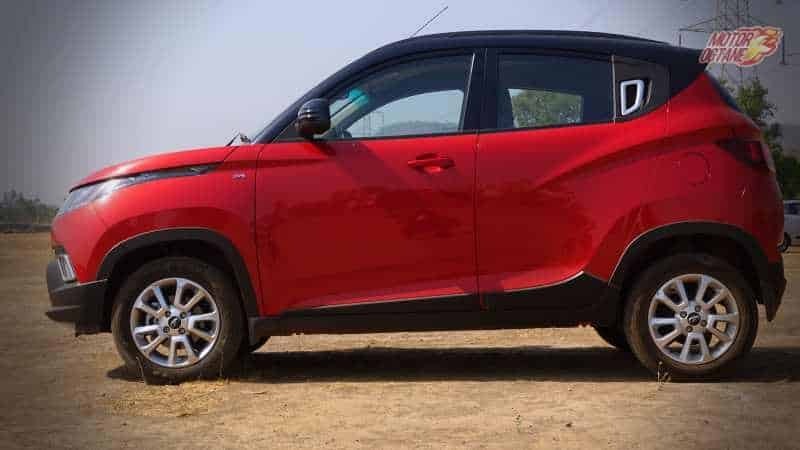 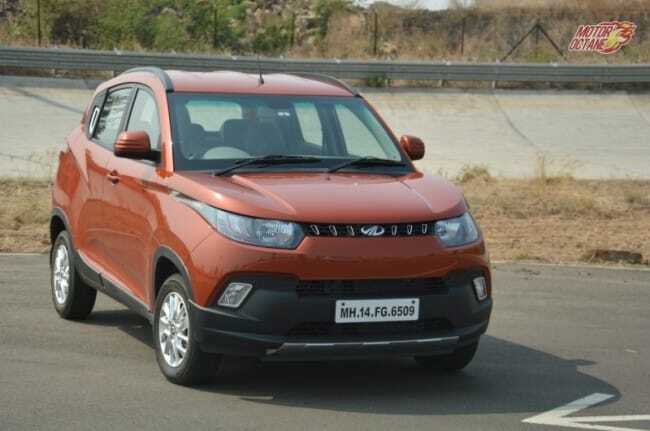 The rest of the features are same as the manual version S10 variant which has projector headlamps,17-inch alloy wheels with 235/65 tyres, automatic climate control, dual front airbags, height-adjustable driver seats, follow-me-home headlamps, tyre pressure monitoring system, rain sensing wipers, auto headlamps, cruise control, steering-mounted audio controls and a touchscreen infotainment system with GPS and bluetooth telephony. 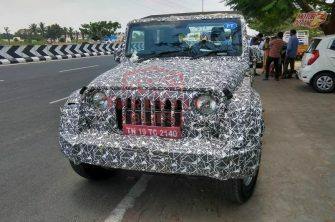 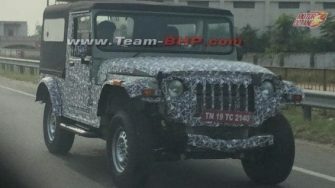 The front grille have chrome touches, and the headlamps come with LEDs. 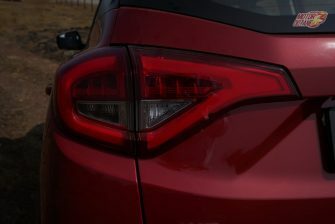 There is also an interesting feature of a cornering lamp which lights up while negotiating a turn. 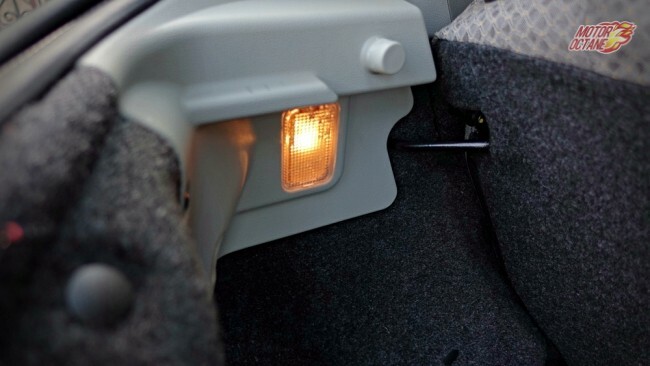 This feature is very helpful when driving in unlit areas and illuminates the corners effectively. 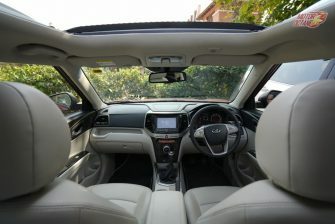 The interior quality better as compared to the previous generation car, although there are areas like the door handles, which needs to be changed. 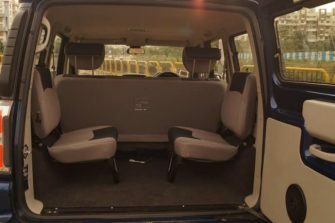 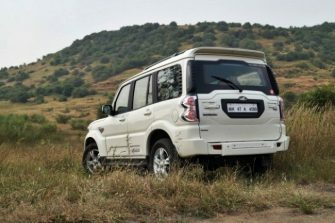 Space-wise it similar to the earlier Scorpio and has soft seats, suitable for the city but a little firmer seats would have been preferred. 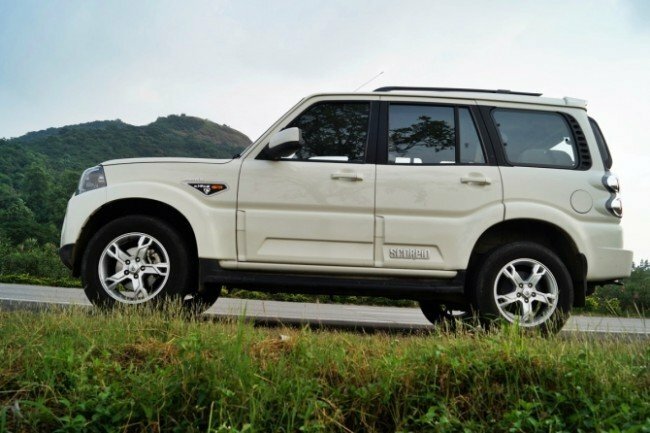 One sits pretty high in the Scorpio and gets a commanding position and view of the road ahead. 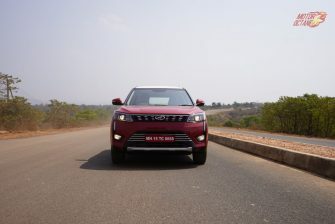 The new Scorpio is definitely an intimidating SUV. 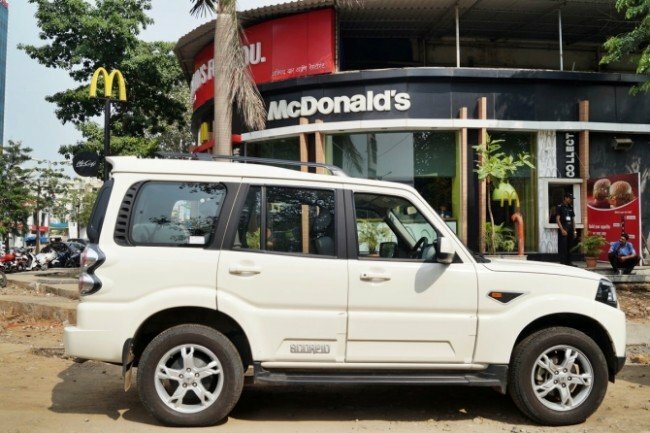 The Scorpio has always been specious vehicle. 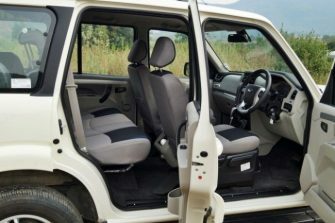 The driver’s seats are high to give a good view of the road. 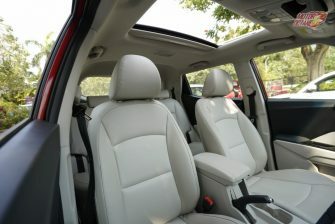 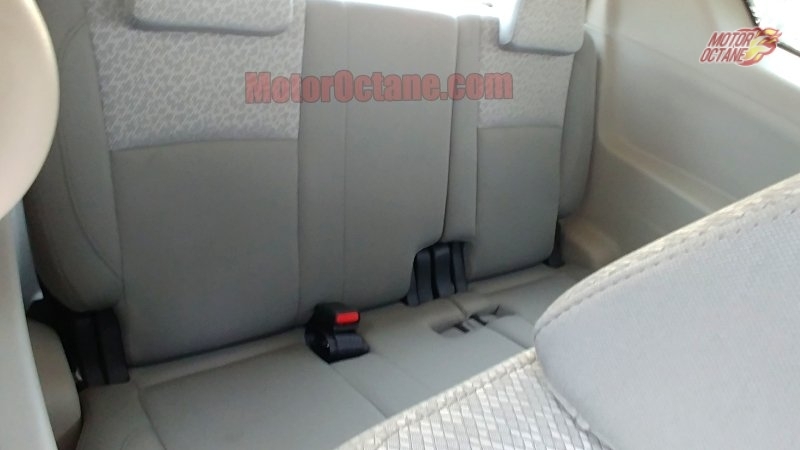 The rear seats are high enough to add more comfort. 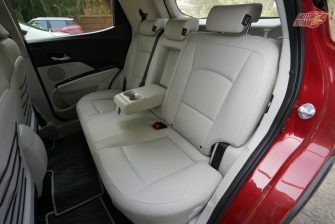 The second row isn’t very roomy, as the knee room is a tad tight. 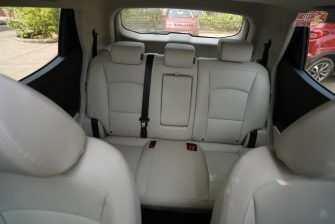 The third row has the typical opposite facing seats but a broad enough to fit Yokozuna inside. 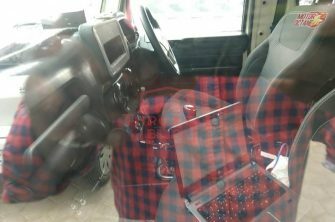 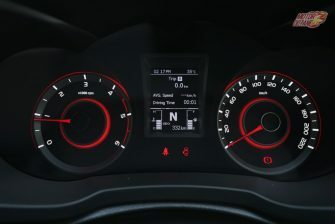 The dashboard has resemblance to the outgoing version with loads of equipment. 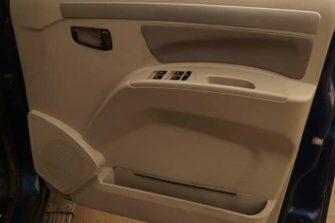 Certain quality of plastic in the door handles do not seem up to the mark and leave a bit of loose ends.The seats have always been soft and provide good thigh support. 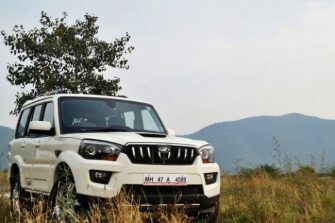 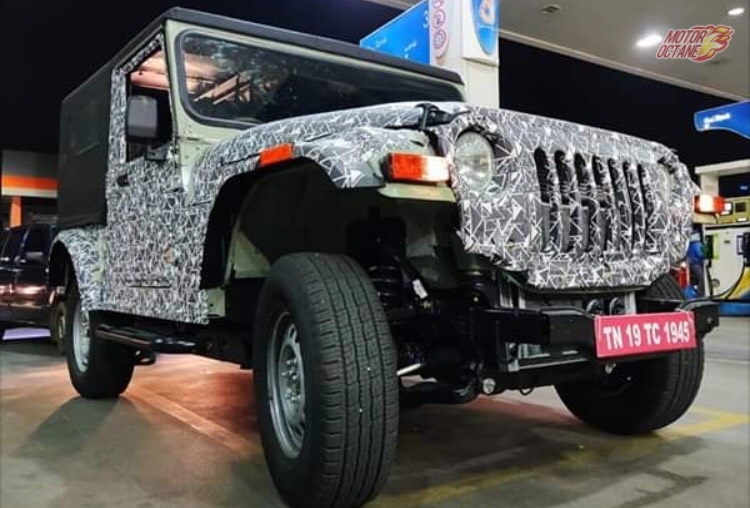 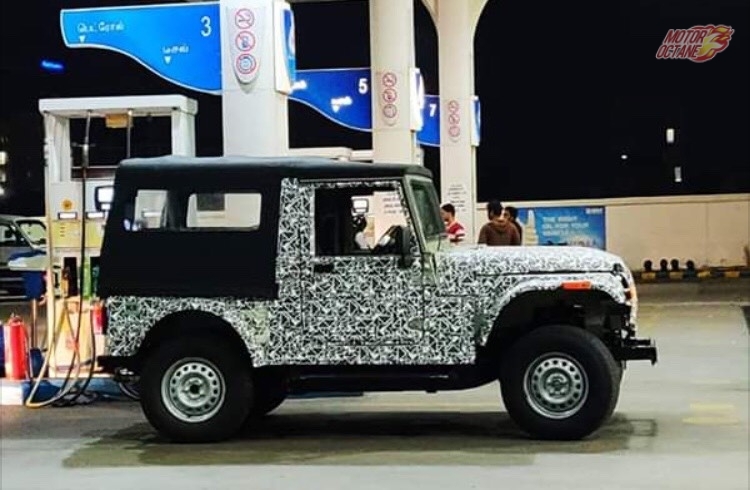 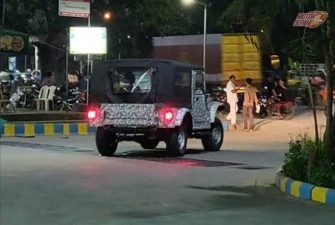 Scorpio still seems to have the space of the old one and can continue to carry Rohit Shetty’s whole crew around unless he decides to blow the car up. 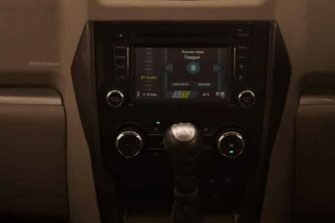 The new Scorpio automatic drives pretty smooth. The refinement in the gearbox does show while driving. 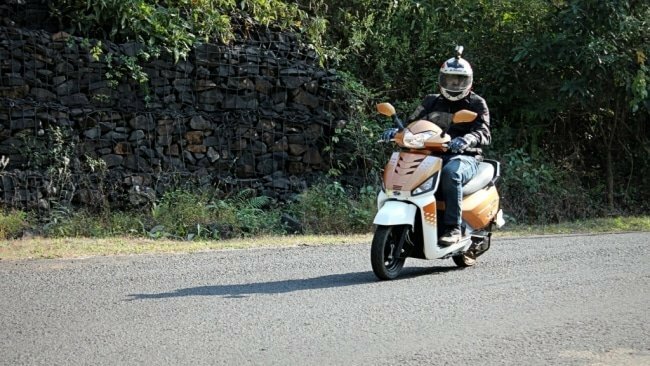 The upshifts are smooth but the gear selection is still notchy. 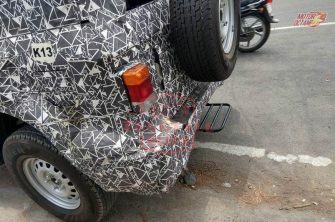 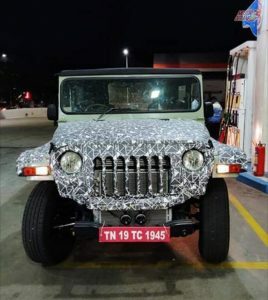 This is clearly a vehicle which is not comfortable when pushed hard. If you want to enjoy the Scorpio Automatic, be gentle with the throttle and the SUV will reward you with a fatigue-free driving experience. 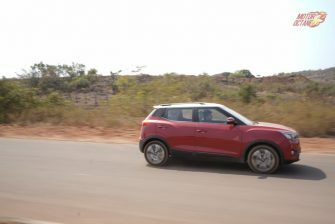 Try being harsh on the throttle and the vehicle conveys its reluctance. 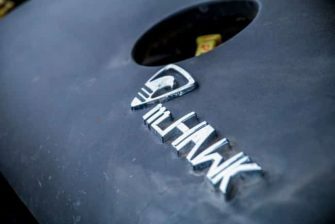 The 2.2 mHawk is a gem of an engine that offers sprightly performance. 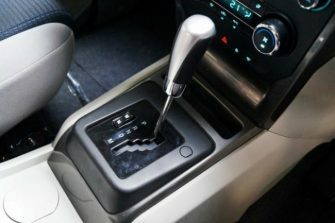 The gearbox suggests mellowing things down. 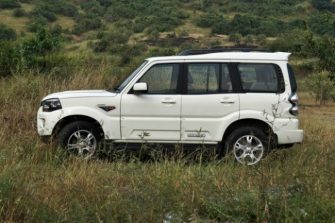 Where the manual Scorpio makes things a bit difficult with a slightly heavy clutch and long clutch travel, the automatic simply does away with that. 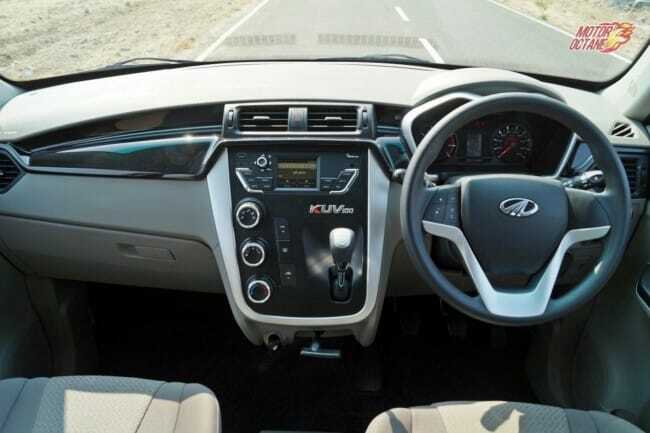 City driving hence, is simplified further. 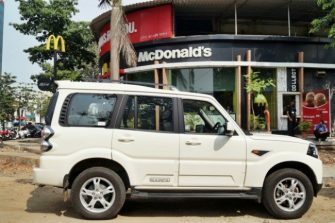 The Scorpio Automatic though, suffers a lower fuel efficiency than the manual one at 9.0 km/l in the city and 13 km/l on the highway. The Scorpio Automatic is a boon to drive in the city with its high seating position, offering a commanding view. 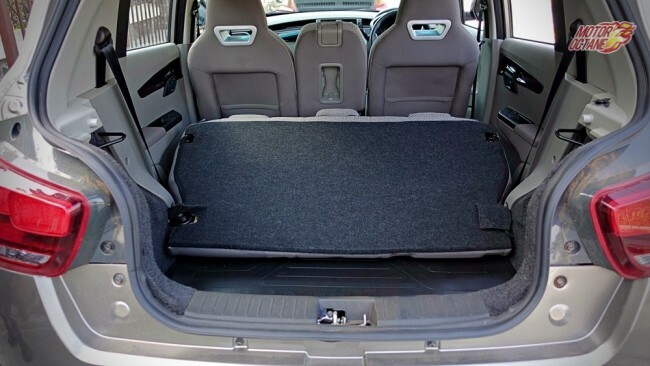 A tight turning radius that can challenge many a hatchbacks and great all round visibility. 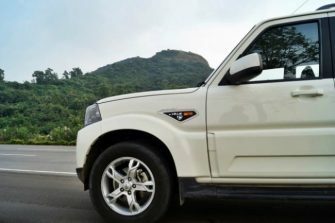 It is a good cruiser too but the ride still is not as supple as one would expect and can get choppy at times. 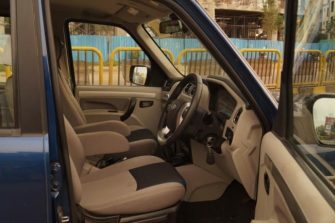 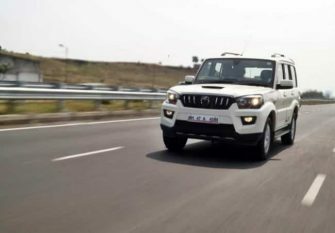 An all-new chassis and suspension in the new Scorpio has improved the ride quality and better seats too add some comfort, though the Scorpio does not exactly offer as pliant a ride as say the Tata Safari, Renault Duster or the Mahindra XUV500. The gear selector lever in the Scorpio Automatic is also below par. 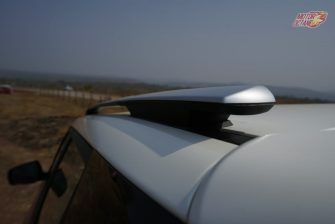 It feels cheap and has stands very tall, looking dated.